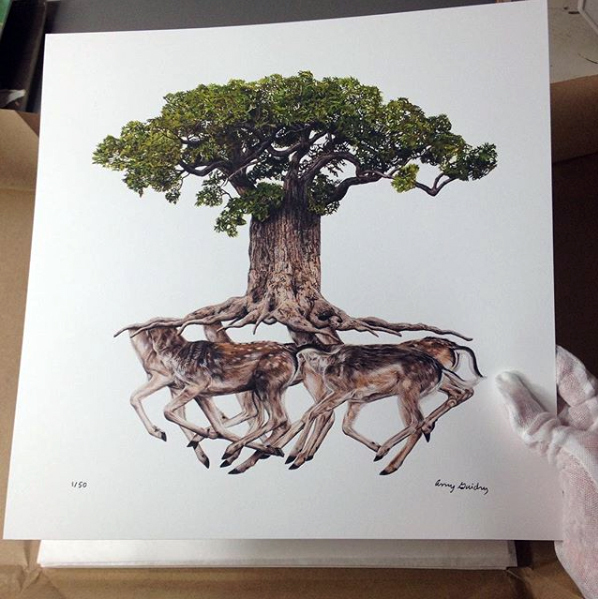 Excited that prints of Sustain have arrived! They are a limited edition run of 50 giclée prints on archival, 100% cotton 230gsm paper. The paper size is 12″ wide by 12″ high. Each print is signed and numbered, and they are $50 each. To arrange shipping and to purchase: https://amyguidry.com/print-sustain.html.